Exeter saleroom Bearnes Hampton & Littlewood sold an 11in (27cm) Chinese blue and white vase with Ming style decoration for £460,000 (plus 21% premium) on January 30. It came for sale via a general email enquiry together with a dozen unexceptional objects that had been in attic storage since they were inherited from an aunt. Annie Madeline Glover, a teacher who lived and worked in Shanghai from 1910-22, had returned home with her young son on the P&O steamship Egypt, and settled in Bloomfield Park, Bath. 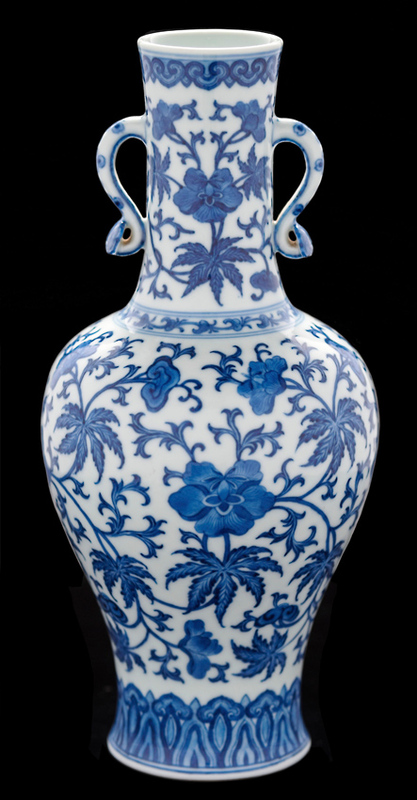 The auctioneer - that for the first time asked all bidders to pay a refundable deposit of £5000 in advance of the sale - did not date the vase although it has a six-character Qianlong (1735-95) seal mark and bears a fragment of a collector’s paper label to the base. While no other vase of the same form and decoration was found, other examples are known in doucai colours. It was in perfect condition save a tiny chip to one ruyi handle terminal. 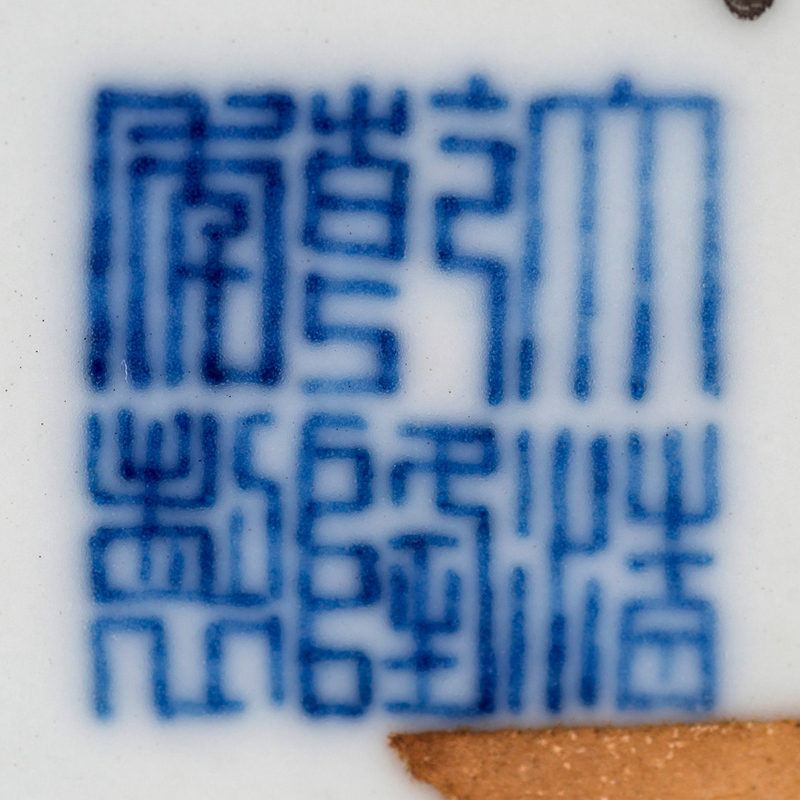 The mark of a 11in (27cm) Chinese blue and white vase with Ming style decoration. In the run-up to the sale, more than a dozen interested parties registered to bid in the room or on the phone. The hammer price, tendered by an agent in the room against an estimate of £20,000-40,000, was a house record for the saleroom in its current guise. In 1990, when trading as Bearnes, the firm sold a collection of 1850s photographs from William, 2nd Earl of Craven for £1.4m and a complete copy of Edward S Curtis’ The North American Indian for £500,000.